It is that time of year again… Back to School! Maybe you love it, maybe you hate it, or maybe it doesn’t effect you at all, but it comes around either way so we might as well embrace it! What better way then with cake? 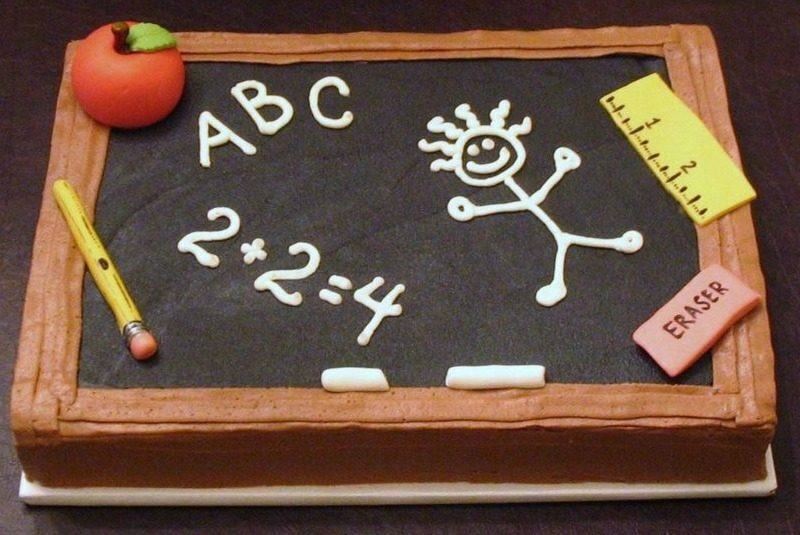 We have 10 superb school themed cakes here that would even make a jock smile. 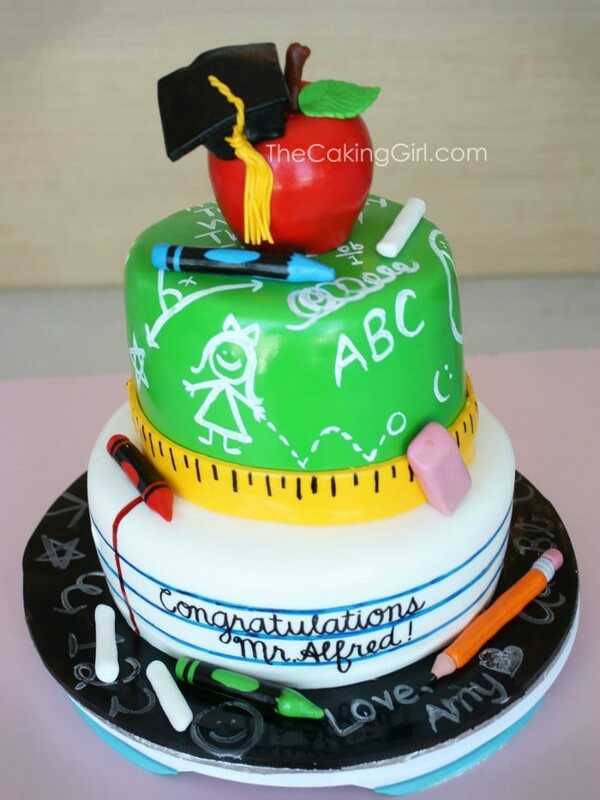 Our first school cake has a little bit of everything and I especially love the adorable little grad cap on the apple! 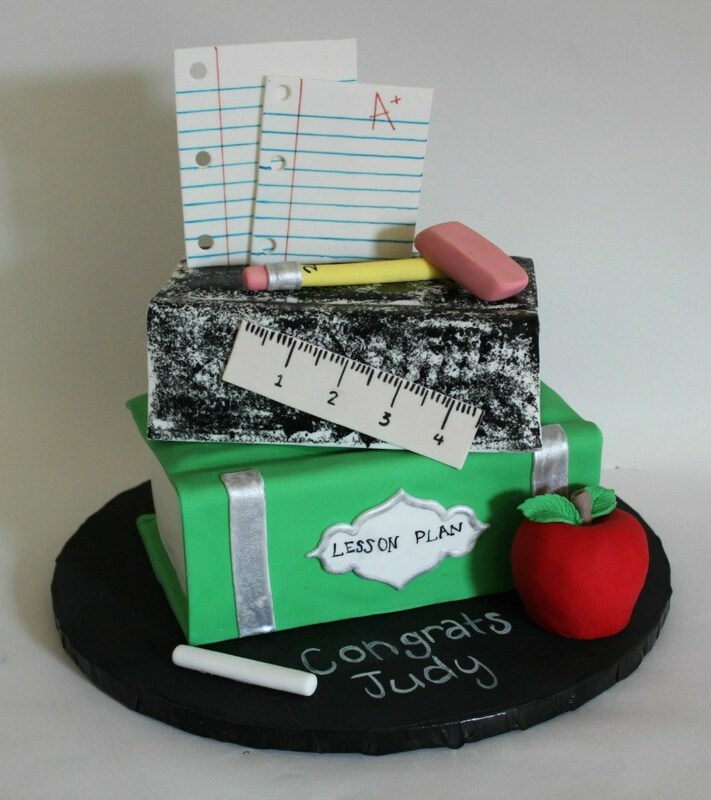 This is one of the most unique school cakes I have seen, an obvious concept but not done very often! It doesn’t get much cuter than a backpack full of school supplies. This one definitely goes at the top of my cute list, look at that face! I just wanna squeeze his little chubby wubby pencil cheeks! This is a simple cake but no less adorable! A sheet cake chalkboard with a few schooly items, something you could put together pretty quick and is sure to impress. 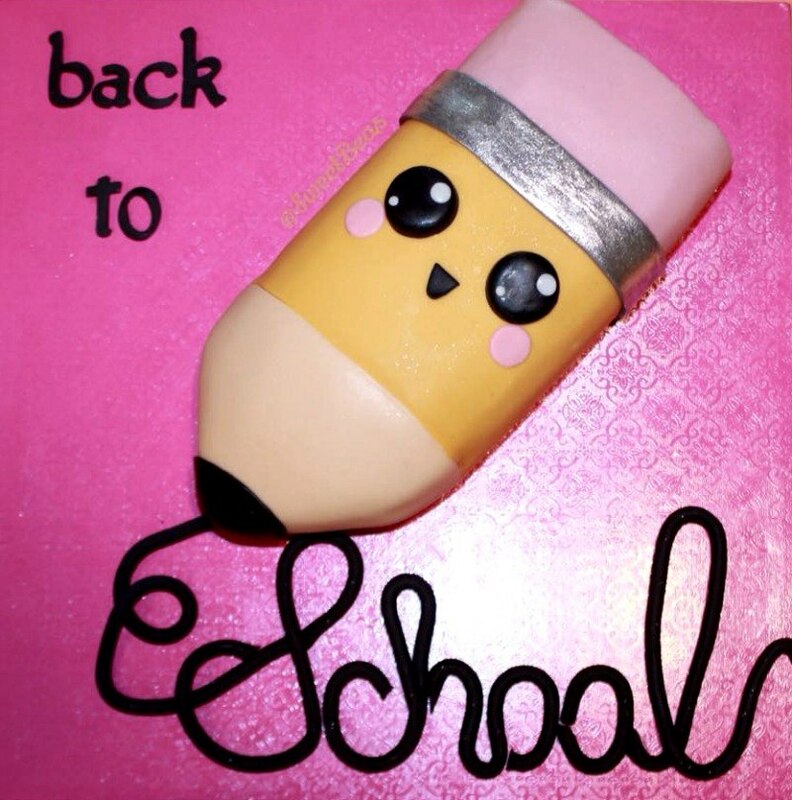 This art cake definitely fits the school theme. 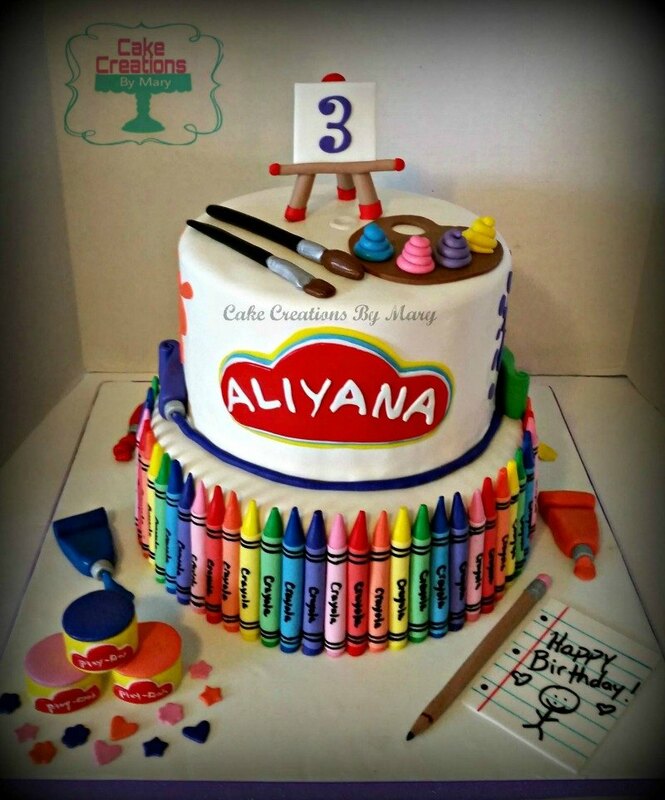 It has all the fun messy supplies kids use at school to be creative and this cake is nothing short of creative as well! Ok, so nothin’ else screams school like a school bus am I right? 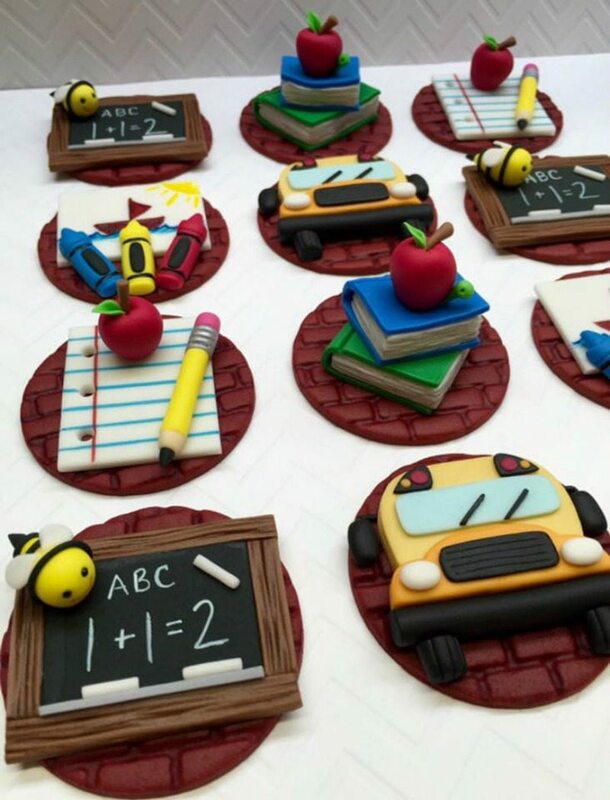 Fabulous idea for a school themed cake! 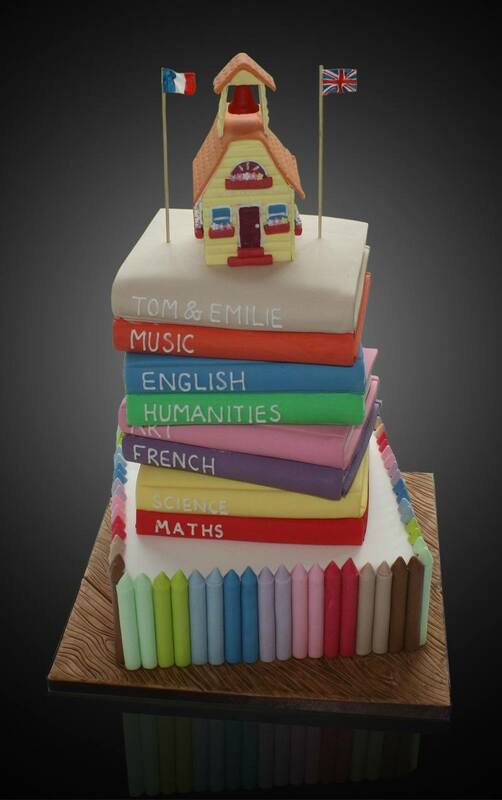 If I read this correctly this school cake was a wedding cake! Definitely a unique way to personalize the cake for your special day. I bet no one else has had a tiny little schoolhouse topper on their wedding cake but why not! 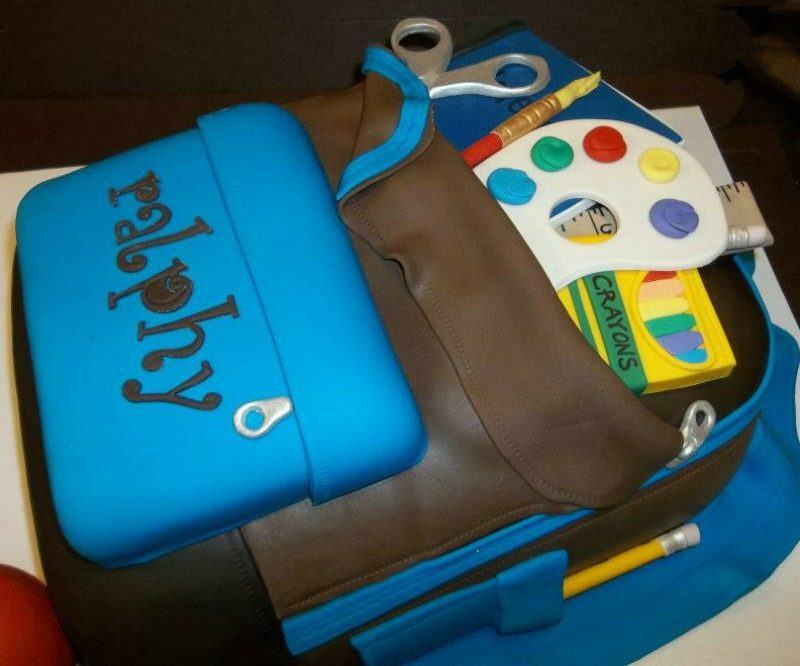 I love the way the items are organized on this cake of school items and the colors really grab your attention! I may also have a slight thing for apples. 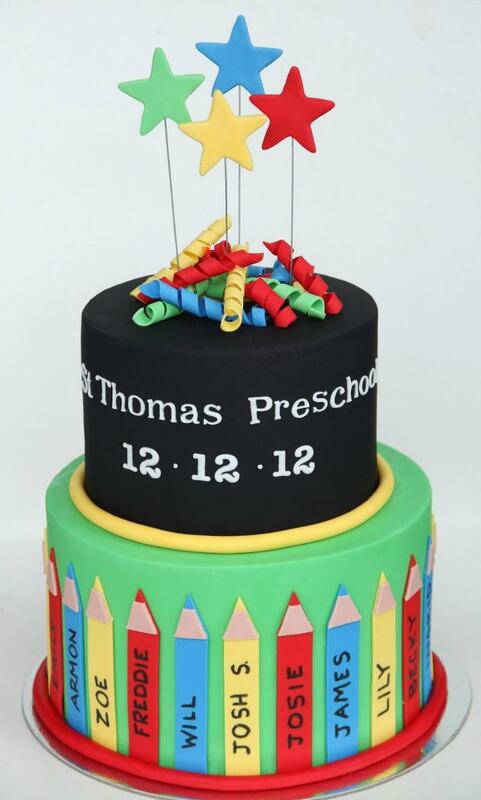 A preschool cake! Clean, simple and totally darling. 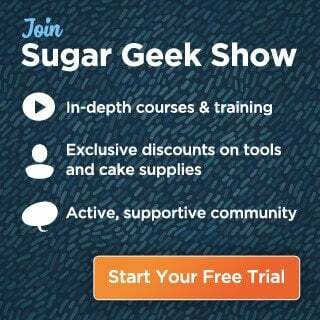 Just don’t ask me to go to an elaborate, expensive preschool graduation ceremony. 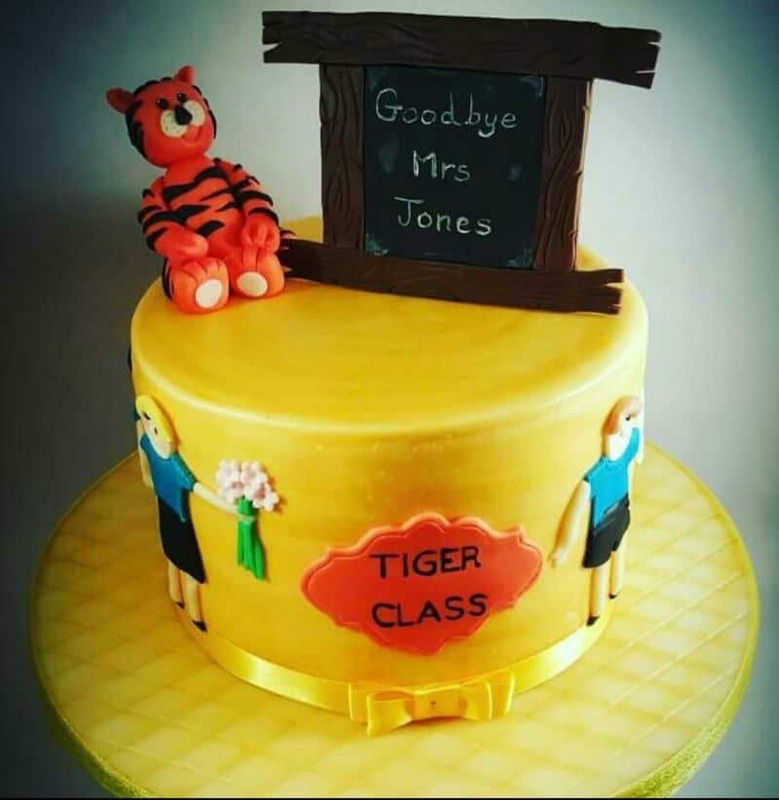 Giving a good teacher who has served their time a proper sendoff is one of the best reasons to make a school cake in my opinion. They’ve earned it! This is a preciously personalized cake. Ok, so we have another bonus. I couldn’t pass up showing the incredibly adorable details in these cupcake toppers, I mean seriously? So well done! I definitely have a big thing for tiny things. 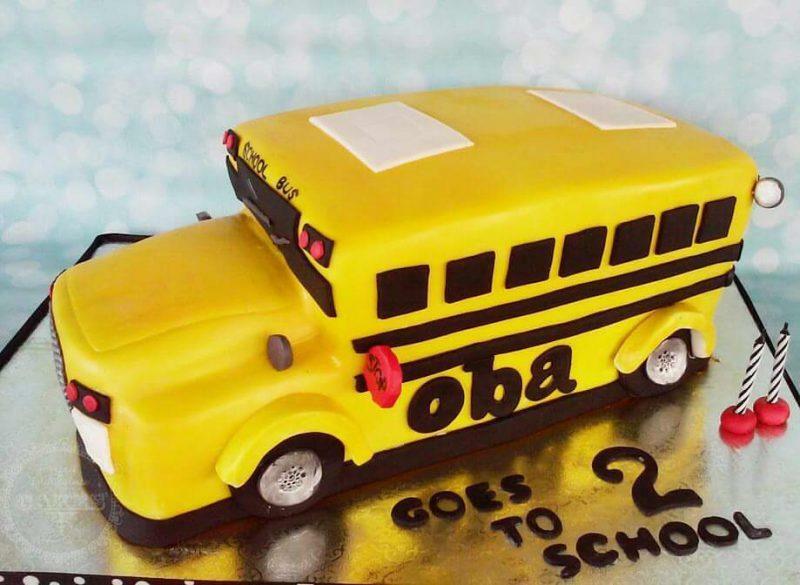 You have officially been schooled on school cakes. These crazy cute cakes almost make me less grouchy about having to get up early again to get my son off to school, almost.